Click here to shop for us on Amazon! All donations ship directly to our office. Updated wish lists coming soon. 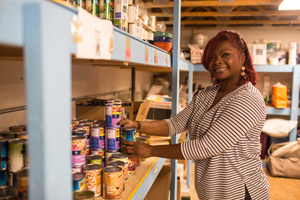 Lighthouse relies on donations from the community to support those who need our help. We accept donations of non-perishable food, personal hygiene products, paper products and cleaning supplies. At this time, we are accepting donations of NEW items only due to a lack of storage. 18505 W. 12 Mile Rd.